A Microsoft Access Database is a desktop application which stores large amounts of data and is able to recognize relationships between those data. It consists of data and tools that enable users to manipulate that data. One of these tools are the queries. Microsoft Access Queries are used specifically to organize data on the Access database. A database can hold multiple tables. Each of the tables can have hundreds of thousands of records. How the user extracts a specific section of the table or tables is by using the queries. Displaying data in simple or complex ways is the typical function of a query. One simple way is by getting the names of all the customers in a table. But you can modify your query to include only a list of customers residing in London sorted by last name, and this is a more complex search. The main types of queries in Microsoft Access are select, action, parameter and aggregate. How Many Types Do You Know And Use In Your Access Database? The select query is the simplest among them. It is used to retrieve data from tables. The data that will be displayed is dependent on the criteria of the user. Not only can a query be used in retrieving data, it is also used in deleting or updating records as well as creating tables and inserting data into tables. The type of query that does these is called the action query. Append Query – gets the results of a query and add them to an existing table. Delete Query – deletes the records in a table according to the set results of a query. Make Table Query – creates a table based on the query set results. Update Query – updates one or more fields in a table. A parameter query is a modified select query. It is either a value or a condition. This type of query functions along with other types of queries to get specific results that a user may want to retrieve. 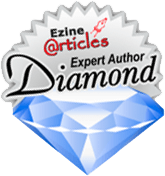 It basically refines the search by instructing the other query exactly what you want it to do. An example of a parameter query is a specific date (3/30/2015) or a date in between start (3/1/2015) and end date (3/30/2015). Like parameter query, aggregate query also works with other types of query. It chiefly generates an aggregated result from the selected groups. Some examples are Sum, Avg, Min, Max, Group By, Count, Where, First, and Last. Obtaining data from a table consisting of a large amount of records without having to probe the table is the main importance of queries. 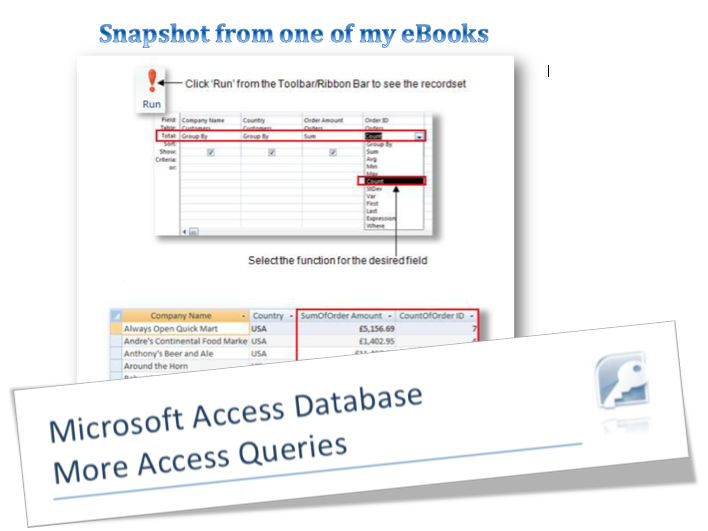 I have a couple eBooks about MS Access queries which may be of interest – why not check these and other Microsoft Access database eBooks out!